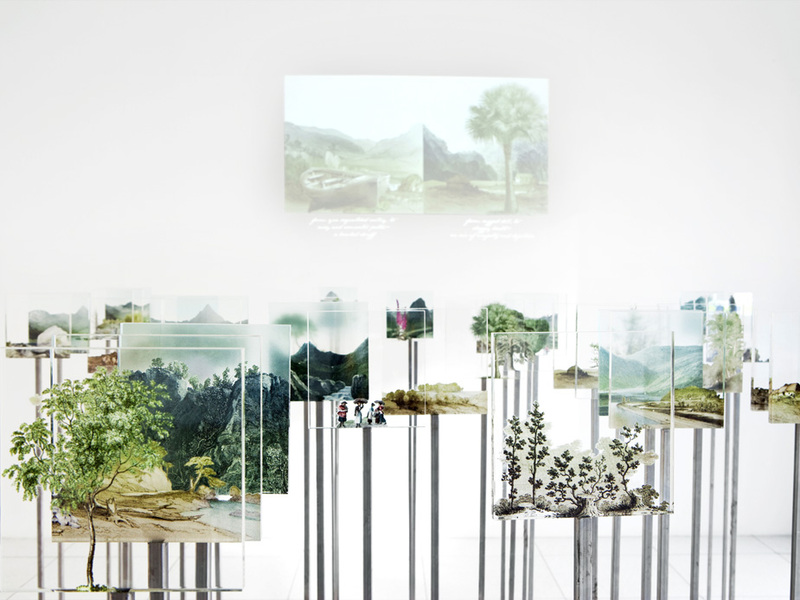 yen to see distant places is a networked device inspired by the 19th century myriorama card game. 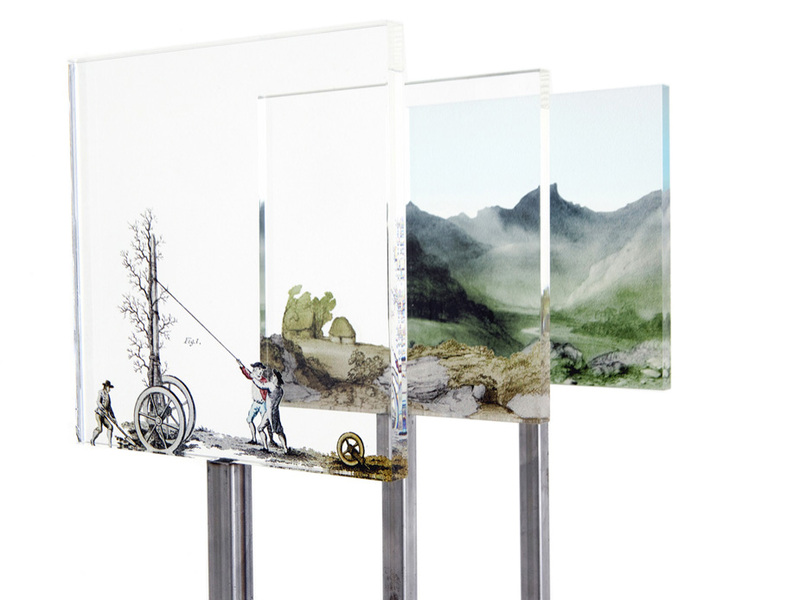 Visitors can create seamless panoramas from colourized engravings depicting backgrounds, middlegrounds and foregrounds (identified as “The Sublime”, “The Beautiful” and “The Picturesque”) of Scottish landscapes. These can then be viewed in a telescope where they were transmitted to. 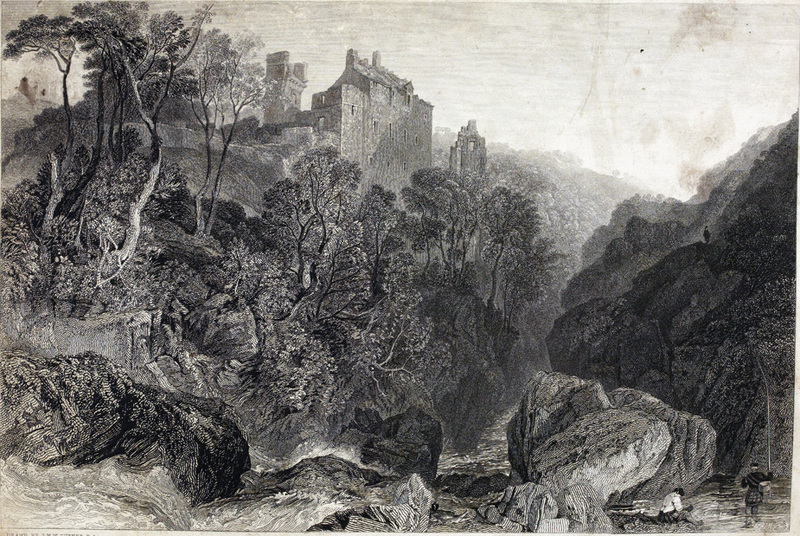 The deconstructed engravings are drawn mainly from Sir Walter Scott’s Provincial Antiquities and Picturesque Scenery of Scotland, 1819–26, from landscape scetches by Robert Kaye Greville, 1834–1852 and botanical drawings taken out of Jacob George Strutt’s Silva Britannia, 1822/1830. 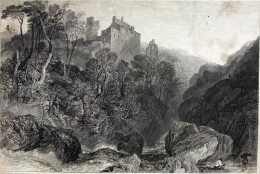 Every layer of an image comes with a line of a poem – either by Walter Scott, other 19th century poets or composed by Ken Cockburn. 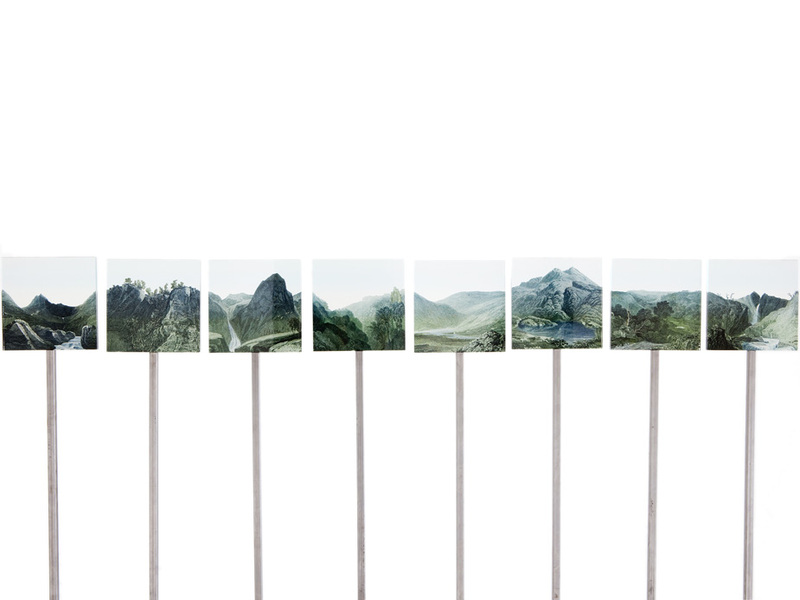 There are 3,375 possible landscape combinations of “The Sublime”, “The Beautiful” and “The Picturesque” as well as 3,375 possible poems – but nearly infinite panoramic constellations of Scottish landscape. 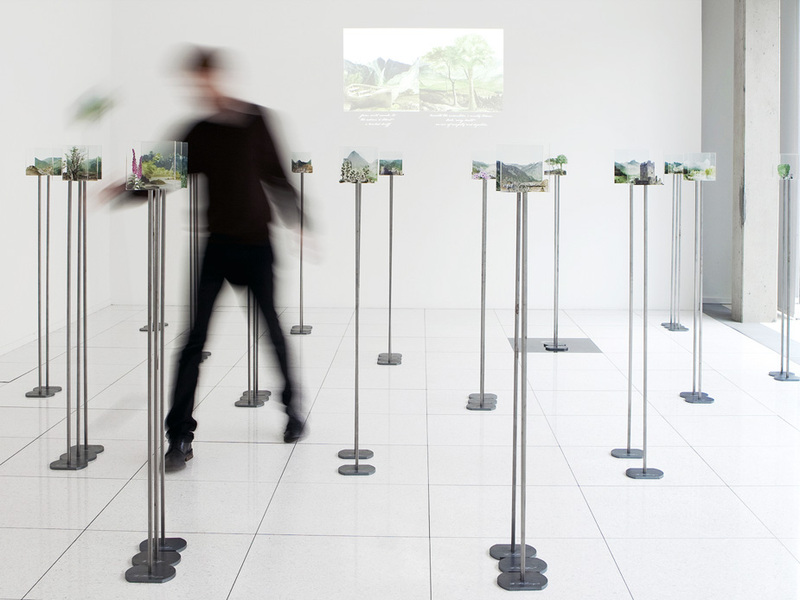 Both parts of the work can be installed indoors or outdoors. The telescope element of yen to see distant places was co-commissioned by New Media Scotland and Edinburgh Art Festival, supported by The National Lottery through Creative Scotland. 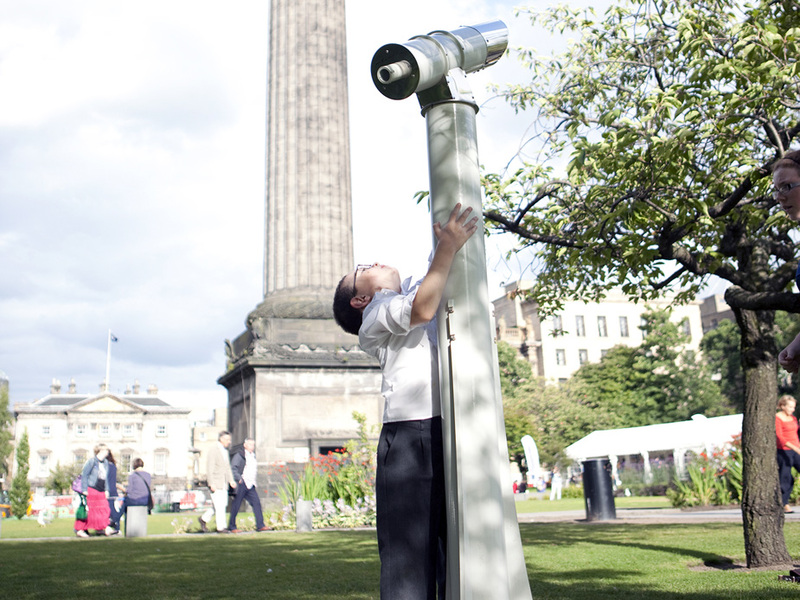 yen to see distant places was shown during the Edinburgh Art Festival at Inspace and the telescope at St. Andrew Square. Reprints with permission of the Trustees of the National Library of Scotland and with permission of the Trustees of the Royal Botanic Garden Edinburgh.